Jesus is coming soon! He wants to take us to heaven with Him! There are an abundance of signs of His soon coming, which are the fulfillment of Bible prophecy. It's good news that Jesus is coming soon! He wants to put an end to the pain and suffering all around us. He wants to welcome us home and shower us with the blessings and pleasures of His heavenly kingdom. He wants us to sit at His table so He can feed us with heavenly food. All the things you long for on this earth will seem as garbage compared to what He has to offer. Then we will all realize what He's been offering to us. We will have time to think about it then. But we need to think about it NOW! The end is coming, yes it's near! So we can be prepared to go. With all His angels shining bright! To meet their Savior in the skies. Because His Word they did not keep. Time has run out, this is the end! Is Jesus Christ your dearest friend? Will you be filled with joy or fear? Or will you hide your face and run? Are you prepared for Him or not? So when He comes You will rejoice. Oh, choose to give your heart to Him! For heaven is our highest goal. 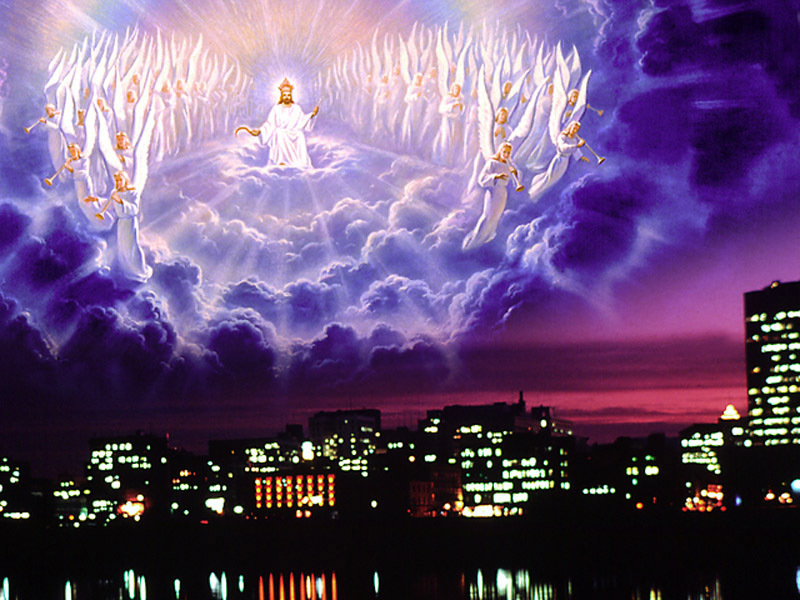 Yes, Jesus is coming soon! And He is longing for a pure and holy Bride. He wants you and me and all who love Him with all their hearts to be His pure and holy Bride. Loving Jesus is a supernatural experience that we can't muster up by ourselves. We need the Holy Spirit to put the desire for God within us, and to generate the faith that causes us to cling to Him in utter dependence. The prayerful study of the Word of God is where we receive the spiritual power to truly love God. The more we take in the Word, the deeper our love and faith grows. We need to come to the point where our love for God is higher than any earthly pull. We need to be so in tune with the Spirit that we can detect His slightest whisper, and gladly respond to His promptings. We need to recognize our inability of ourselves to make one godly decision, and think one holy thought. Our continual sense of desperate need is what causes us to cling to Him. As we do that, He will pour His enabling grace into our lives. Only then we will walk in joyful victory and sweet fellowship with our Lord. This experience should be the quest of everyone who is planning on living with Jesus forever in eternity. And that is the very reason for this web site, and for the countless hours dedicated to helping YOU find that blessed closeness with Jesus in His Word. Take the Heaven Challenge today and receive your FREE Guide to Heaven. In it, you will find the scriptures that tell how the world will end, and just what we can expect. It will help you be ready to meet Him!